I’m so excited to write this blog I really am! No wait this is the real world rather than the love in that was the Apple Special Event. October 30, 2018. I suspect I am too old to understand why the people in the crowd have to get so excited about the fact that Apple are now using reused aluminium rather than freshly smelted aluminium. Well they did and a lot lot more. These things are cult meetings rather than product announcements by the world’s largest, by capitalisation, company. So what do I think about the new products? Underwhelmed I guess is the real answer and that is not because the products aren’t any good – they really are very good but there was nothing really really exciting. Perhaps the best example of this is the new Apple Pencil – is that Apple Pencil 2 – not sure? Anyway, it looks a great product which of course comes with a hefty price hike – nearly 50% – but isn’t any real improvement on the current Apple Pencil which I use all the time. Of course I can’t buy the new pencil because it only works with the latest iPad Pro – also announced today. As they were going through the new iPad Pro I kept looking at mine and thinking ‘should I spend the money?’ and the answer was no. This morning I was in an Apple store looking at the latest iPhone x and yes they did look very nice and flashy but they weren’t that much better than my less than a year old 8 plus. Will the new Apple Pencil make me a better artist? 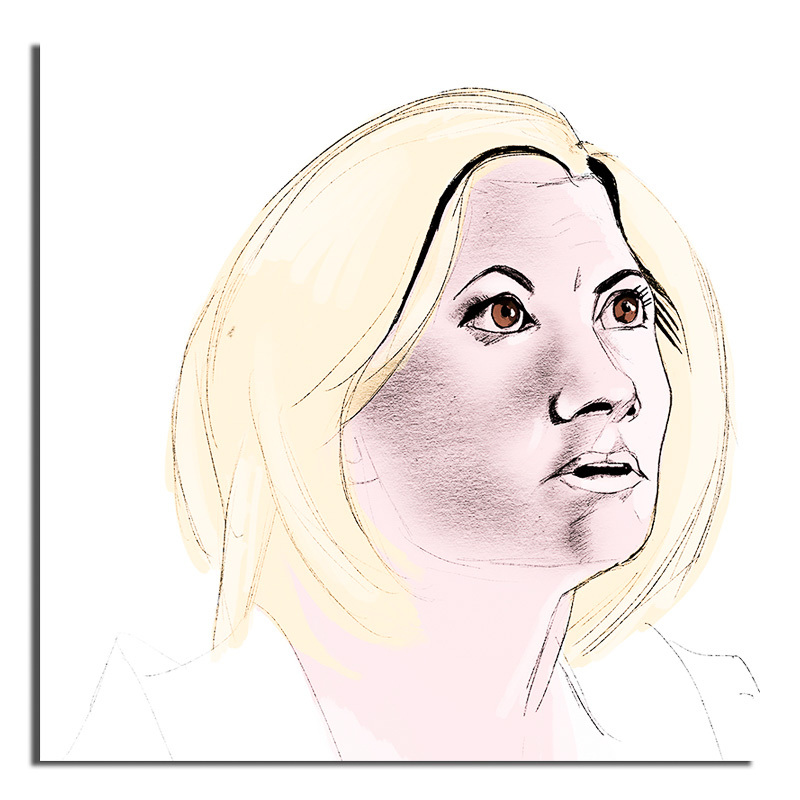 Will it enable me to make a better little sketch of the current Dr Who? The answer of course is no not one little bit. The only thing that can do that is my own skill, concentration and application. By far the most stupid thing shown today was Adobe Photoshop for the iPad Pro. Now this is really personal choice but when I use Photoshop – which is almost every day – I need the acreage that the 27 inch iMac provides. The thought of having the squeeze all that onto the tiny, in comparison, screen of an iPad Pro is just bonkers. Another example of old age creeping in perhaps? So in the view of this aging fan boy – probably by decades on the young happy smiling face in the Apple promo shots and videos – the new products looked interesting but that was it. There was nothing groundbreaking and I am sure if I bought one or more of the products I would be really happy with them. However I doubt I will. I will leave you with this thought. They announced the latest version of iOS 12.1 was ready to be downloaded. Yippee you might think and yes I am sure it will be great until a few days later when you will be told you will have to download 12.1.01 because of some bug or security lapse. Everyone knows that this is what happens with the iOS release yet the crowds were yelping and shouting with delight at 12.1. It is at times like this that I know that I am really am getting a little too long in the tooth! This entry was posted in Apple Pencil, Art and tagged Apple Pencil, Apple Special Event, ios, iPad Pro, photoshop, portrait, Procreate, sketch. Bookmark the permalink. 1 Response to Sometimes I wonder am I getting just a little long in the tooth?